This post has been a long time in the making as it’s something that I struggled with for quite some time. And it’s something that I’d like to expand on in the future. 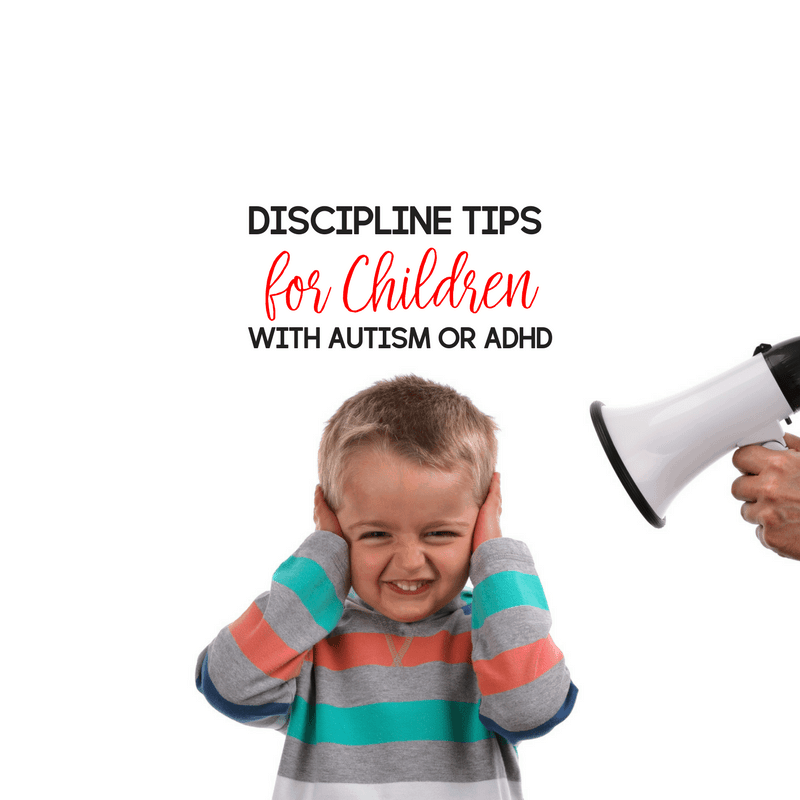 Until then, let’s talk about discipline tips for children with autism or ADHD. Now, I know, I don’t talk a lot about ADHD but in recent research, I’ve found so many similarities. 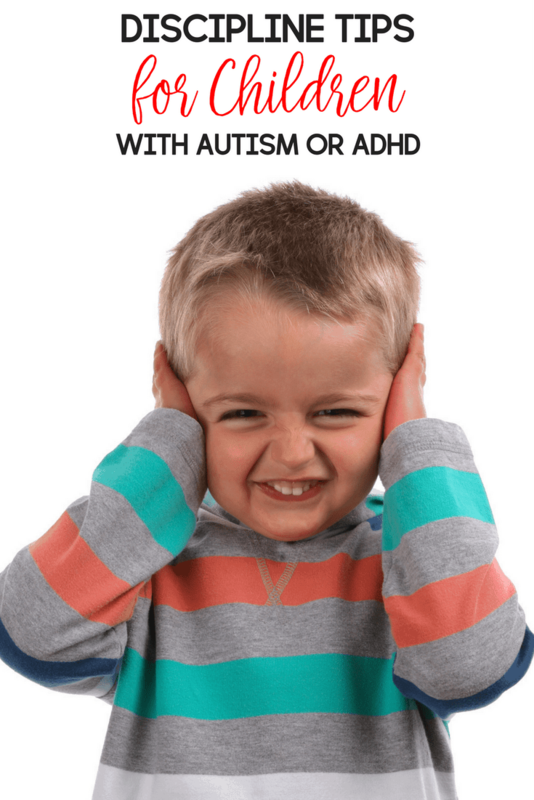 So, even though this post addresses autism, specifically; I believe that these tips can also be kept in mind for children with ADHD. Find more tips for parenting an autistic child. 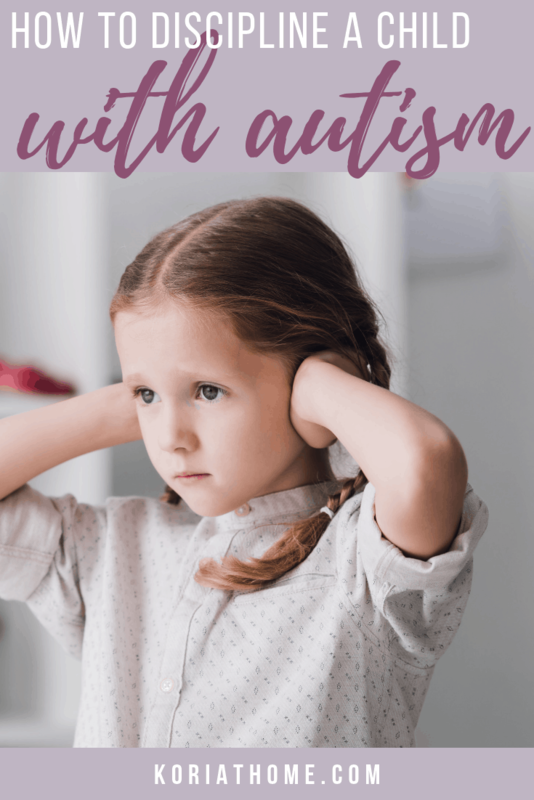 Can you discipline a child with autism? How else do you discipline a child with autism? Nearly all parents struggle to find the right way to discipline their children, and there are some families in which discipline is lax or even non-existent. 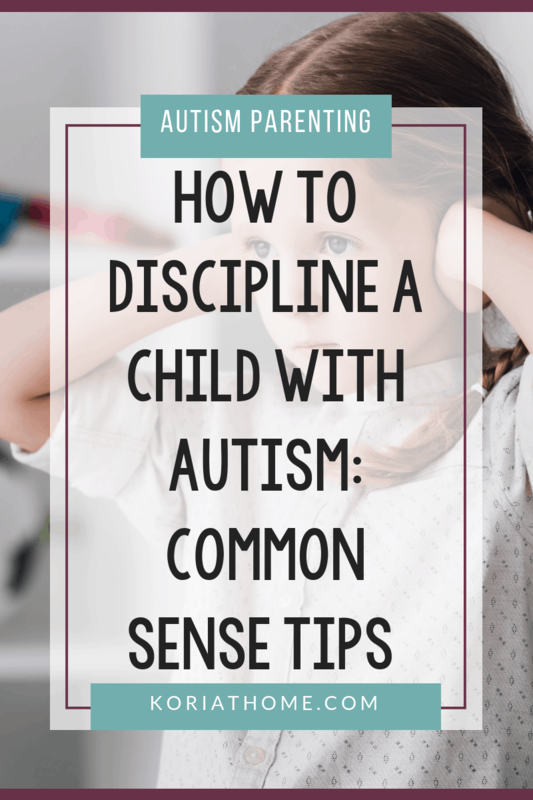 However, when it comes to children with autism, discipline is not only important, it can be hard to implement. 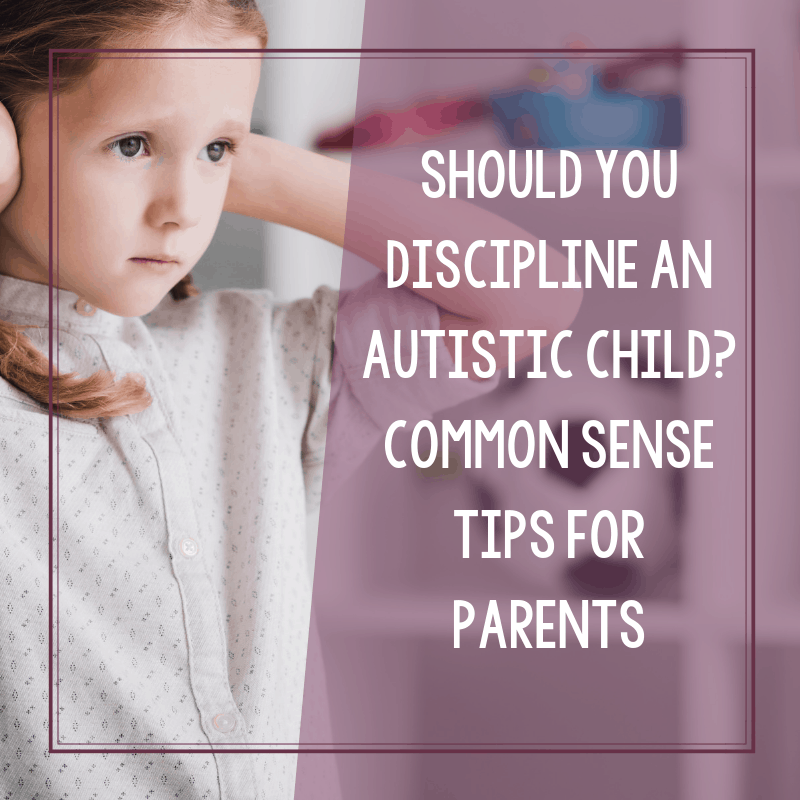 Parents must think of autism and discipline in different ways when thinking of how they want to approach this, and they must also be sure to ask for help if they think they are failing. Remember, as well, sometimes there might be something else at play. For example, if your child also has ADHD in addition to autism? Consider one of these 12 best alternatives to Adderall. 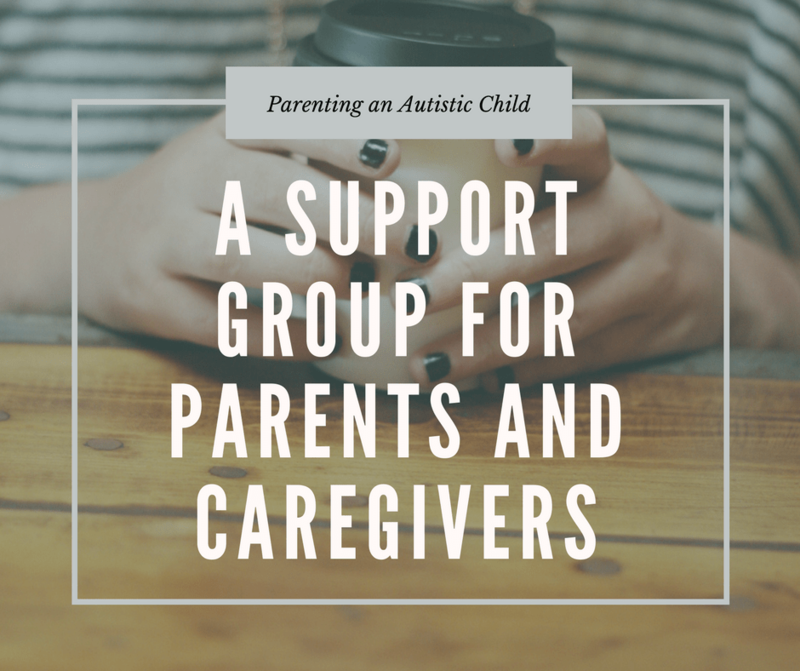 Save this post for later when you get my autism parenting toolkit! This means that the positive behaviors should be rewarded as much as possible and the negative ones should not be rewarded with a lot of attention. This is good advice for any child, but is very important for children with autism. When children have bad moments, it is important for a parent to figure out why. They may just be acting out in a naughty manner, but they may also be experiencing tension or frustration. They could, for example, be experiencing sensory overload. If they are frustrated, this is an excellent time to remove them from the situation and to show them breathing or relaxation techniques they should use when they feel that way to help them calm down. It might take a while, but with some perseverance they may be able to learn to use them. When it comes to mom and dad, discipline must be consistent. That means that the punishment should come immediately following the offense. If parents lack consistency they will lack control. The same punishments should be used each time. If parents decide they want to use the 1-2-3 method, they have to use it every time and there has to be an outcome if they get to ‘three’. You cannot count to two and then go back to one or the child will know they can get away with things. If a time out is the punishment after ‘three’ is reached, this has to be enforced no matter what. If not you run the risk of losing control of the moment and the situation, and the child has learned nothing positive. There should be no waiting for the other spouse to get home to deal with the problem or to reprimand bad behavior, as the child may be confused when they are being punished long after the event took place. However, it is important that both parents be equally involved in using discipline so that the child does not learn to act up in front of the parent that is known to pass the buck when these things happen. Each offense should be dealt with in the same manner, as this gives the child a clear picture of what will happen when they do something that they should not be doing. Any delayed punishments will not work with a child who has autism. It is also important for parents to remain calm. Try to avoid yelling or out of control actions. If you’re feeling frustrated should walk away from the situation to calm down. Parenting is hard for any parent, but with the extra stress of autism, things can easily get out of control even for the best of parents. Each child will learn about discipline in a different way, and as long as the punishments are just, immediate, and consistent, there should be some progress being made. Dealing with autism and discipline is never easy, but with practice, you can learn to cope. Great tips and good reminders. Discipline Is still hard for our little guy. Trying to find motivation or consequences that work even when we are out in public or in new places is the hardest. Any suggestions? I find that having a sensory toolkit, so to speak, is a must when going in public places. And social stories. For both public places and new situations. Trust me, discipline is still something that I’m working on with my 16 year old! Absolutely. My 16 year old has her fair share of typical teen moments and there were plenty of times, when she was younger, that it was a flat out temper tantrum brought on being denied candy or a favorite toy. I do, however, feel that the diagnosis needs to be considered when finding an approach. Not disagreeing with you at all though, you’ve brought up very valid points that I left out. And yes, so agreed- parenting is hard. Regardless if they’re NT or not.